Last month, I finally opened myself to the Sony exclusive gaming catalog by getting a PS4 Pro, my first PlayStation since my PS2 during high school 11 years ago. Along with purchasing more Kingdom Hearts collectibles, one of the first things I wanted to do on my new console was to finally play through the side games of the Kingdom Hearts series before the long-awaited release of Kingdom Hearts III early next year. 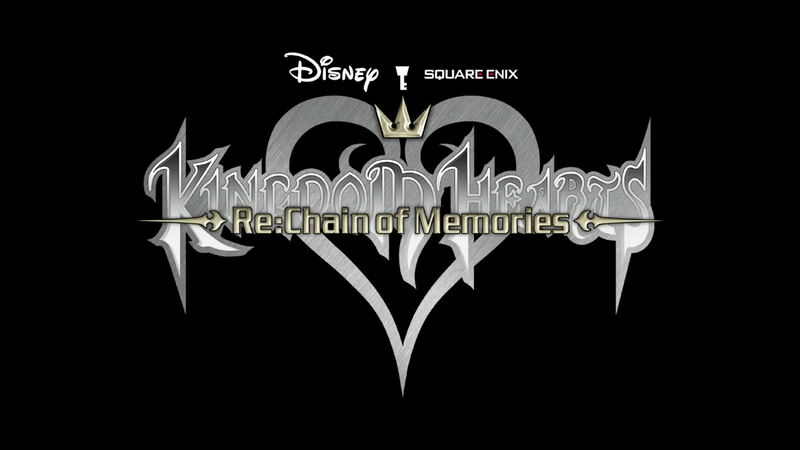 So, going in release order, I started with Kingdom Hearts Re:Chain of Memories. About 10 years ago, a few years after its release, I played the original Kingdom Hearts:Chain of Memories on Game Boy Advance. Unfortunately, it was not a great experience and I stopped about half-way through. There were a couple of reasons for this. At the time, my appreciation of more strategic action games wasn’t quite where it is now, so I didn’t actually put in a lot of effort into building my deck and actually playing the correct cards in combat. This made the battles rather difficult, and I didn’t have the patience to continue once I got to one of the harder bosses. In addition, the controls and graphics were really difficult to get used to after playing through the full-3D environments of Kingdom Hearts and Kingdom Hearts II. 240 x 160 resolution was just brutal, even at the time. With this playthrough, I was on the opposite end of the spectrum. With my brand spanking new PS4 Pro and a remastered version of Kingdom Hearts HD 1.5 + 2.5 ReMIX, I was playing Kingdom Hearts Re:Chain of Memories with 4K resolution at 60 FPS! That’s 216 times the pixels compared to the original GBA release. It was actually quite jarring to have this game to be my first hardware test of my PS4 Pro. Although the combat looked as smooth as silk at 60 FPS and Tinker Bell’s fairy dust at 4K resolution was an incredible sight, a UHD rendering of a 14-year-old GBA game that was remastered into an 11-year-old PS2 game is a strange experience for sure. That said, the 3D adaptation of this card-based action game makes it so much better. In a game when you are moving around fighting enemies in a 3D environment while simultaneously cycling through cards in your deck, it’s nice to have space to actually dodge attacks or run away while planning your strategy. The battlefield was far too small for that on the GBA and KH:ReCoM fixes that issue beautifully. This was especially a problem with boss fights on the GBA version, as the bosses would attack with powerful sleights that pretty much covered the entire screen, leaving you very little room for error if you didn’t have a 0 card ready to block it. Since 0 cards are a valuable and expensive resource in this game, and I was happy to see that sometimes I could actually just dodge roll away from certain attacks without having to block it. With the improved graphics and battles removing some of the obstacles to fun in this game, I was able to spend a lot more time strategizing around building my deck. I kept separate decks for regular battles vs. boss battles, and improved them as the game progressed by mostly leveling up my CP rather than my HP (I took sleights whenever they were available) so I could build a more powerful deck at the expense of Sora’s durability. The sleights were all fun to experiment with and I picked my favorites throughout the game and set up my cards such that they would be easy to execute. That said, about two-thirds of the way through the game, I discovered some broken combos that made boss fights trivial. At that point, the gameplay was getting a little repetitive, so I had no qualms about cheesing my way through the boss fights so I could get through the story quickly. For example, the Jafar boss card with the Lethal Frame sleight can take down the vast majority of bosses with minimal effort, except for a couple in the endgame. After you complete the main game with Sora, a separate story arc with Riku (Reverse/Rebirth mode) opens up and you get to step in his shoes to play through an entirely separate storyline that occurred concurrently with Sora’s story. Riku’s narrative was much more fast-paced, as his decks are prebuilt in each world, taking away from the tedium of deck-building while adding a challenge factor to some worlds as some of the decks are full of low-costed cards that are difficult to work with. I personally think this story was quite interesting with really unique combat, but after 20 hours of Sora’s repetitive gameplay, I don’t think I enjoyed it as much as I should have on its own. The story in Kingdom Hearts Re:Chain of Memories is quite important to one’s understanding of the events of Kingdom Hearts 2 and some of the subsequent games, so I do not recommend skipping that part of the game. However, I’m on the fence about recommending this game for its gameplay (since you could just watch the cutscenes on YouTube in less than three hours) unless you’re looking for a unique card-battle action game. It would have been fine if there were fewer worlds for Sora to slog through, so maybe check it out and see how you feel half-way through?